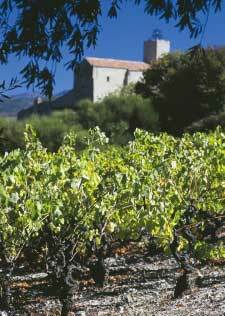 The Mont Tauch wine co-operative is situated in the village of Tuchan roughly equidistant from the urban centres of Narbonne and Perpignan inland from the mediterranean sea in the forested Corbières mountains in the heart of the Languedoc-Roussillon region. It was founded just before the First World War in 1913 as were many wine co-ops. in the midi of the south of France. For decades the wine produced by such co-operatives that wasn't drunk locally could not find much in the way of export markets and so it filled the European wine lakes to be converted into industrial alcohol. Then in the late 1970s things started to change for the better spurred on not only by the interest in fruit driven New World wines shown by the wine-drinking public outside of France but the new breed of winemakers from the so-called New World started to become interested in these old vineyard areas which in itself caused the French to take a fresh look at some of their less fashionable vineyards. Established to represent the interests of their peasant vine-growing members, over the years many co-ops had become local bureaucracies riven by petty politics and strongly resistant to change. Fortunately 1998 saw regime-change at the Mont Tauch co-op. with a new quality driven mission. 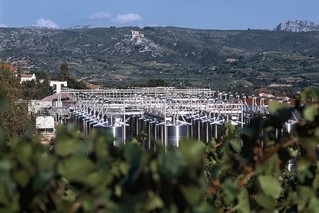 Modernisation was the key-word as huge investment in the winery was made with temperature controlled stainless steel fermentation tanks being installed so that its members' wines could be vinified and then assessed separately. The raison-d'etre of the co-operative was re-evaluated and a thorough-going analysis of the vineyards' soils and grape varieties was made. Growers were henceforth to be paid for grape quality not quantity, and growers could sign one of a range of contracts guaranteeing higher payments for better quality grapes. The inducement worked in two ways, however, with fines being imposed for growers who failed to meet the stipulations of their contract. At the same time modern marketing techniques were adopted including the appointment of an English export director! Today the Mont Tauch co-operative is responsible for 8 appellations and it alone accounts for around 60% of all Fitou sold in the U.K. and is now the largest single wine co-operative in the whole of France with an annual production of 12 million bottles. The wines of Mont Tauch are made from just under 2000 hectares of vines encompassing 7000 different plots tended by over 250 growers in and around the villages of Tuchan, Paziols, Villeneuve-les-Corbières and Durban-les-Corbières. Many different grape varieties are cultivated in these old vineyards. Carignan, Cinsaut, Syrah, Mourvèdre and Grenache Noir are the most planted red varieties with Grenache Blanc, Maccabeu and Muscat for white wines together with Cinsault and Grenache Gris for therosé wines. The average age for these vines is around 50 years with some of the Carignan vines being in excess of 100 years old. Of course the yield of these vines is very low but the quality of fruit is very high. In the last decade or two there have been plantings of Merlot and also of a new variety called Marselan, which results from crossing Cabernet Sauvignon with Grenache Noir, in some of the richer soils with their grapes destined for a range of Vin de Pays. The wines made from all of these grapes include Vin de Pays du Torgan, Vin de Pays de la Vallée du Paradis, Vin de Pays de Cucugnan, Vin de Pays d’Oc., AOC (Apellation d'Origine Controlee) wines from Fitou, Corbières (red, white and rosé) and the sweet wines AOC Muscat de Rivesaltes and AOC Rivesaltes. These days 90% of vineyards are worked according to sustainable principles under the umbrella of the organisation known as V.D.D. (Vignerons en Développement Durable). As has been noted earlier the various AOC Fitou bottlings have been instrumental in developing the higher profile that the co-operative enjoys these days and the range includes special cuvees from vineyard sites that have been identified as being of particularly high quality. One of the new range of wines launched in the last few years is the Les Garrigues Grande Reserve wines. 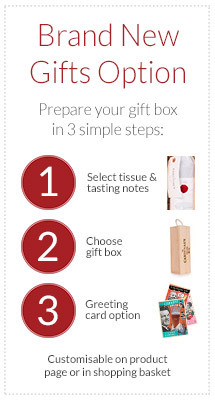 There is a red, made from Grenache Noir, a rosé made from Grenache Gris and a white wine made from the Grenache Blanc. Some of the grapes used in the red version come from vines that are over 100 years old so drinkers are entitled to expect some concentration of flavours and they will not be disappointed despite this wine's humble Vin de Pays de la Vallée du Paradis appellation. Aged in oak, the wood is very well integrated with the palate and does not dominate the fruit at all. There is a spicy richness which is very food-friendly with a wide range of meat, cheese and vegetable dishes. The Cardinal's Cellar strongly recommends that you see for yourself just how good the wines of the Mont Tauch co-operative are. We are sure that they will be a popular addition to your cellar.